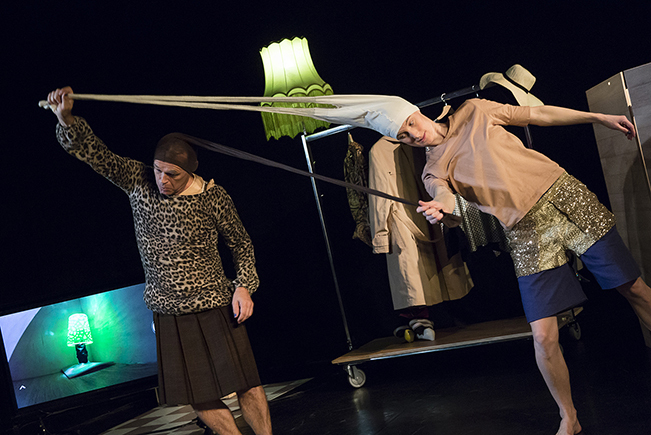 Teater Tre is a Swedish theatre group established in 1979. Since the beginning, our mission is to make quality theatre for children and youth. Besides giving shows on the stage in Stockholm, we tour in Sweden and worldwide. We have previously performed in Uganda, Germany, Austria, South Korea, Namibia, China, Japan, the U.S and many other countries. Since all our performances use very few words, they can easily be translated to, and performed in, many different languages. Our goal is to reach out to all children, regardless of their social, cultural or geographical background. We do this through a universal stage language that is characterized by few words and a great deal of movement. Our performances all have themes from everyday life that everyone, young and old, can identify with. Teater Tre wants to put Swedish theatre for children and youth on the world map. We want to awaken our audience’s curiosity for the theatre and for their own creativity. Teater Tre is also happy to invite international guest appearances to our home stage in Stockholm. Teater Tre is the only Swedish group within the Creative Europe project Small Size Performing Arts for Early Years , where groups from 15 countries work together to with the aim to promote the productions and visibility of performing arts for the early years in Europe. During the four year project (2014–2018) Teater Tre will produce three performances and host two baby theatre festivals. 2018-2022, Teater Tre will be in the brand new Creative Europe project Mapping - A Map on the aesthetics of performing arts for early years - a large scale artistic research project with 18 partners from 17 countries. Teater Tre is supported by The State Counsellor for Cultural Affairs, Stockholm City Culture Department, Stockholm County Council Culture Administration and the European Union.